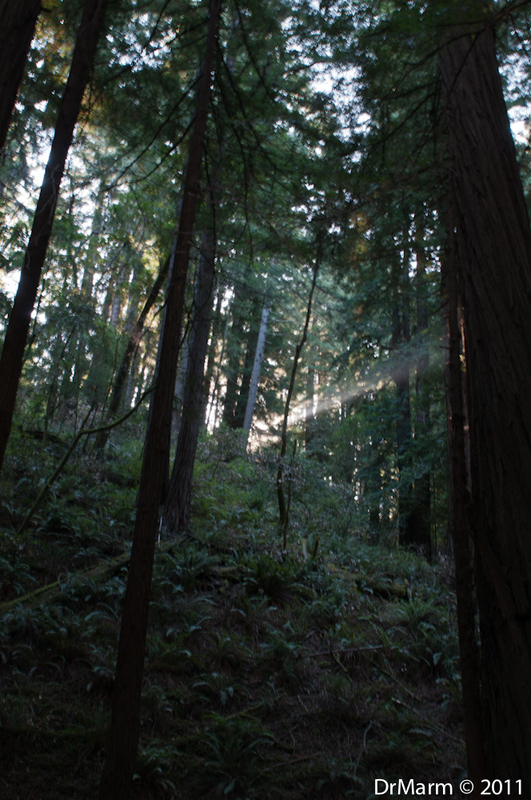 Learned the trick to getting into Muir Woods and good parking is to go early! @Tuckertown @Torqueflite and @BirdGalAlcatraz and I got there so early, there was no one to take our entry fee. We did arrive during open hours! Following Muir Woods, we went to the Las Gallinas Water Treatment Plant. There are many ponds and the birds seem to love the area. 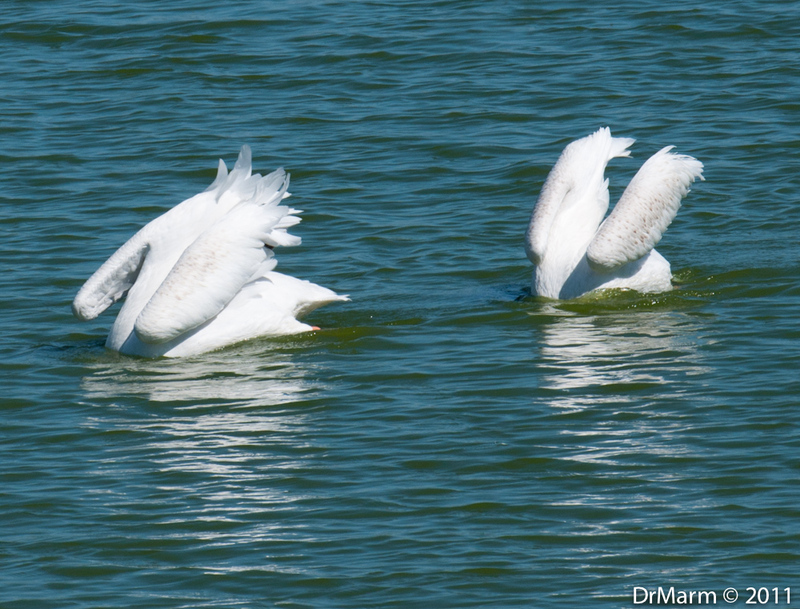 Enjoyed the antics of a pair of American Pelicans–they seemed to be moving in sync! 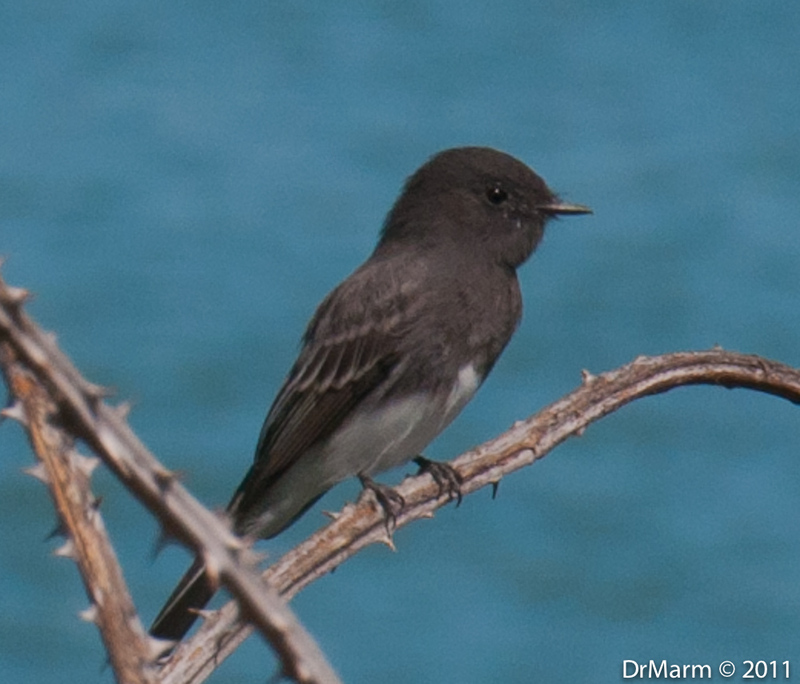 Black Phoebe perched near the water. 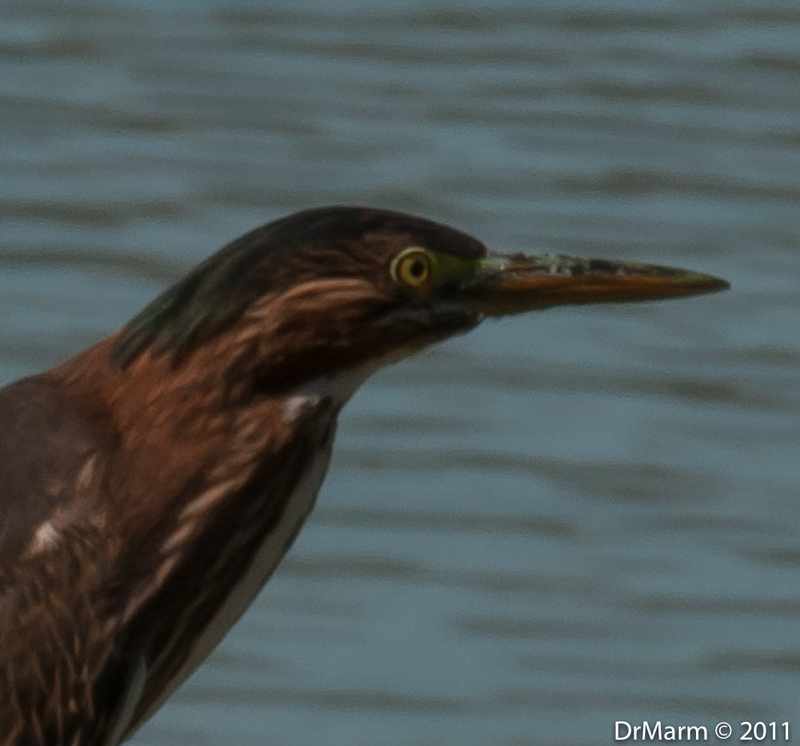 I did have the pleasure to see a Green Heron for a fleeting moment that landed on a dock in front of me. I shot first and then asked what it was–good thing, because a quick exit followed my question! 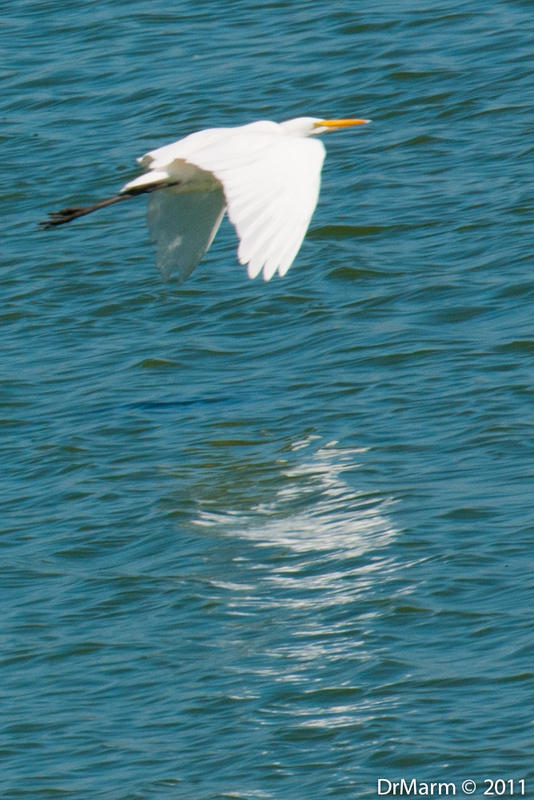 Familiar birds also included the Great Egret and a small flock of Canada Geese in flight! 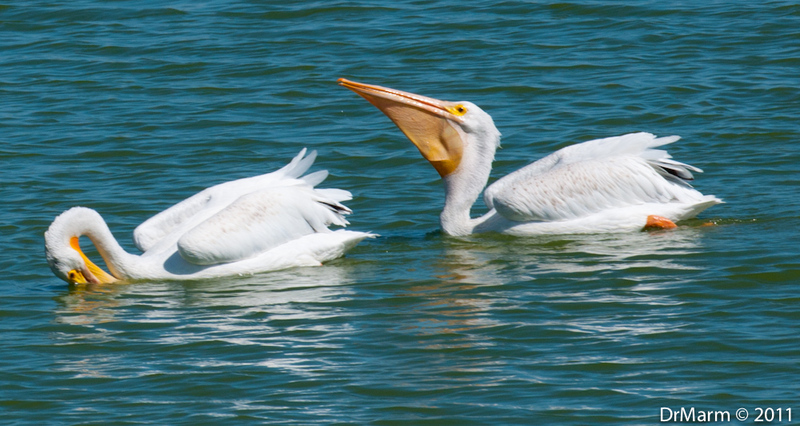 I am learning more about birds and enjoy shooting them, but prefer a lighter lens and am still drawn to scenery shots. 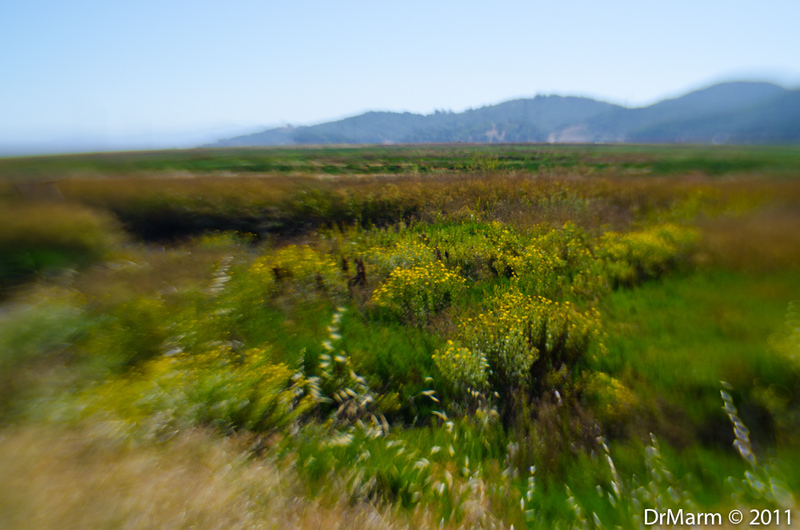 Fortunately–my Lensbaby Composer Pro is very light and always at my side! This shot was shared previously on Twitpic, but one of my favorites from the day! Was really a pleasure to spend time with Twitter friends–look forward to more visits in the future! 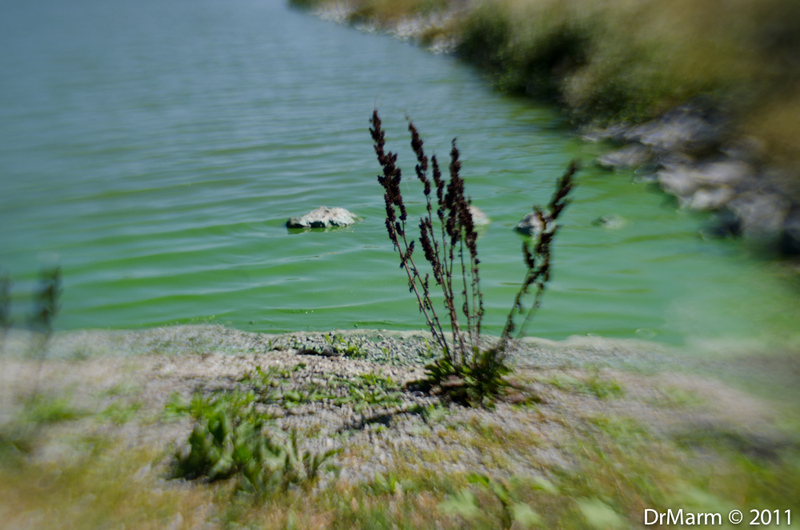 This entry was posted on October 14, 2011 by DrMarm. It was filed under Uncategorized . A most beautiful series of images, Laura! 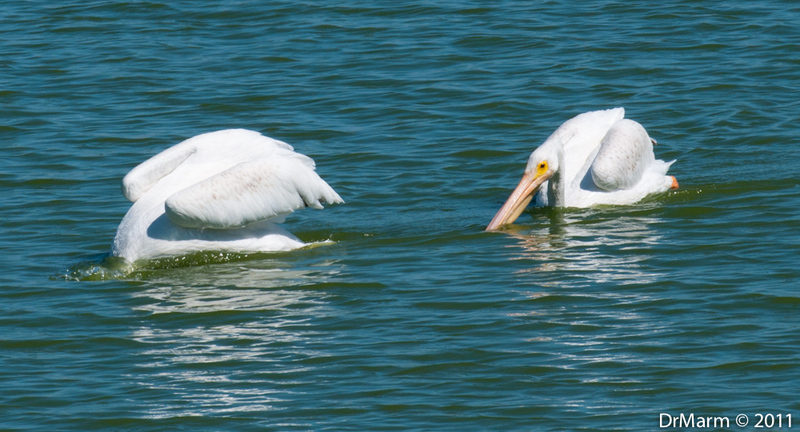 I love the shots of the synchronized White Pelican swimmers. Awesome close-up of the precious Black Phoebe. I have never seen one of these before. Congratulations on the Green Heron life bird! I often see them at a pond in our area. They have the most beautiful feathers. Your lensbaby shots are so interesting and unique. Fabulous! Julie, Black Phoebes are quite common around here and one of the first birds I learned–thought they were Barn Swallows, but now know they aren’t! Glad you get to enjoy the Green Herons on a regular basis–what a treat! Thanks for your kind and detailed feedback–appreciate it! These are fantastic! 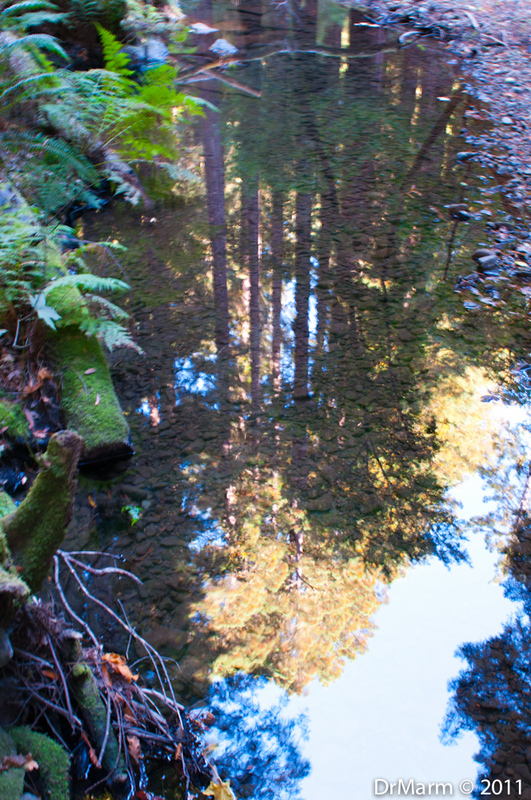 I love that shaft of light shot in Muir Woods and that great puddle shot. Unique & terrific! The bird shots are awesome and I’m so glad you got that Green Heron. Love the pelicans sequence and the cute little Black Phoebe, a favorite of mine. Very nice! Beautiful Laura, particularly like the reflected woods. Interesting how water treatment plants attract birds..often included on birding tours. Obviously a grwat day was had by all! Thanks for your view and thoughtful comments! Thanks much for your kindness! Super shots! Great time with Tweets! Dawn, thanks so much! It really was a fun day spent with great folks!! But, you already know that:) We’ll be ready for your west coast visit some day! Until then, I’ll just enjoy your posts and visit vicariously!